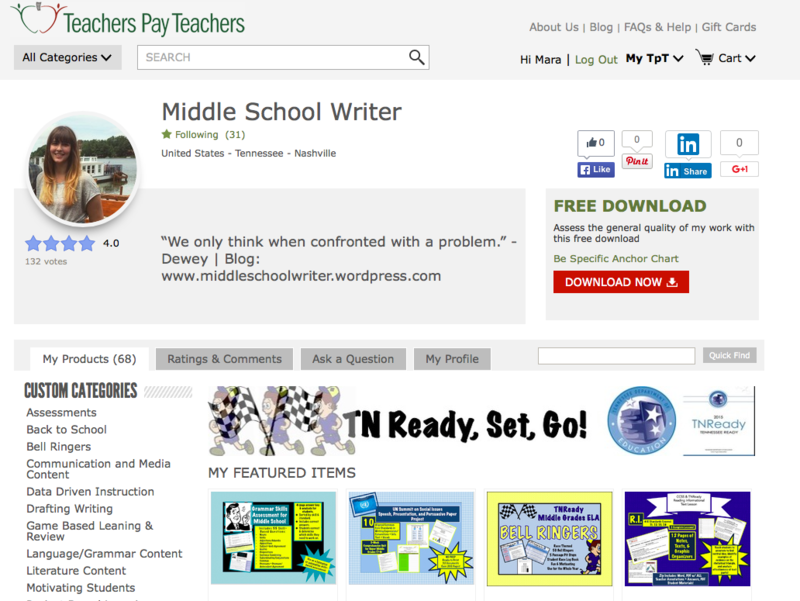 The Be Specific Anchor Chart is now a free resource on my Teachers Pay Teachers Store. Do your students struggle to use specific word choice in their writing? The Be Specific Anchor Chart includes strategies and tips to make writing more specific. This is an increasingly important skill in the Common Core era, especially on the writing portion of the assessment. Hang this anchor chart in your room or print out and give to your students as a handout. I’m excited to share the new Middle School Writer Newsletter with you! This monthly newsletter includes articles focusing on a central theme to help teachers simplify lessons, maximize mastery, and engage students. The first edition of the newsletter focused on keeping students motivated while prepping for state testing. Click here to sign up for the newsletter, which includes free resources, lessons, videos, and more!